Beautiful job, Mark. 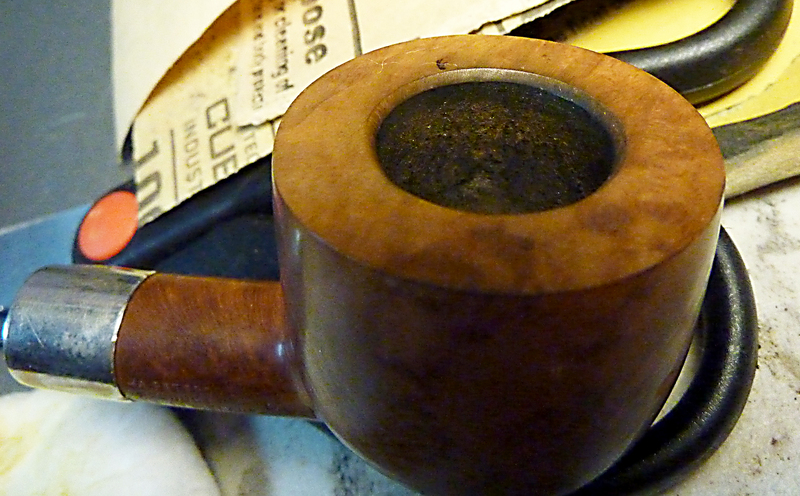 A pipe with that much history should not appear to be new, but should reflect its maturity. Thanks for taking us through the process. I agree 100% that someone who restores or cleans for the love of a good job will always do a better job than someone who does it for money. Beautiful work, Mark. Absolutely stunning. Great restoration! 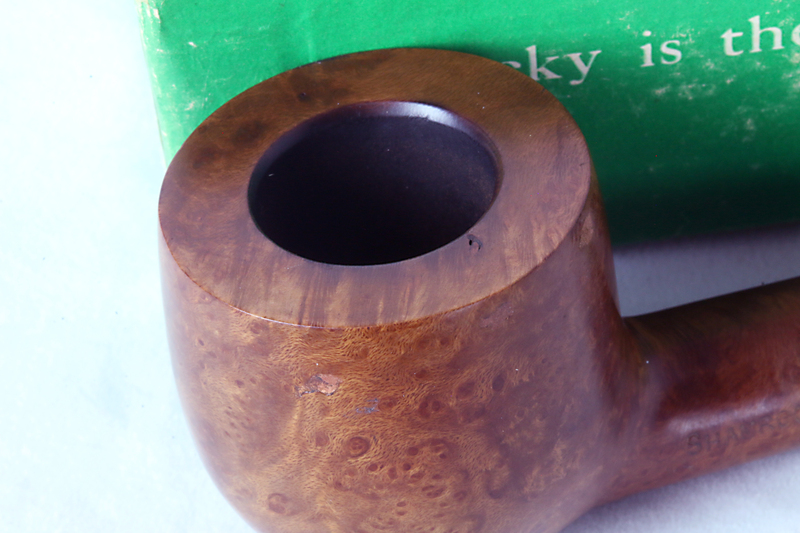 re the “building up” of the bit – you might want to consult with Chance Whittamore of Great Estate Pipes on ebay about that. He typically is at many of the pipe shows. I know that it is done frequently, but I still am concerned about soaking a pipe in isopropyl alcohol…..I don’t know why. 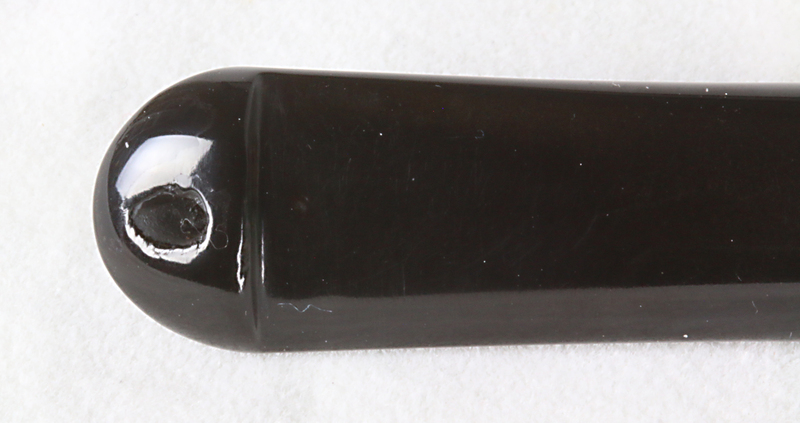 Well, the isopropyl “dunk” definitely doesn’t work on ebony, green, and other exotic color stains. And there is a risk, I suppose, of drying out the wood. But it certainly takes the “Lakeland” and other unwanted essences out. I will look up Chance Whittamore, and thanks for the tip! I enjoyed your missive greatly always wondering what others think about restoration work done by amateurs. 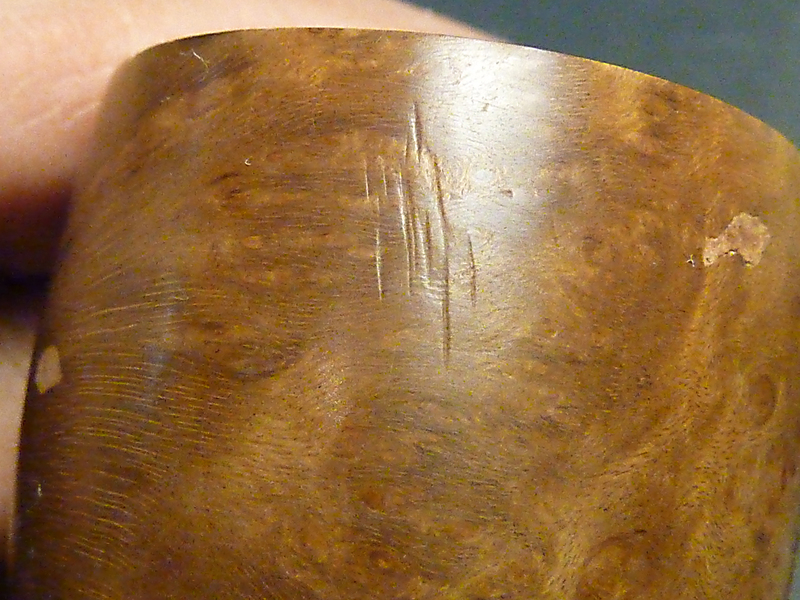 Personally when it comes to buying a restored pipe the first thing I look for is the end of the stem near the tenon. If it is rounded and not perfectly sharp it shows me lack of focus when using a wheel. I guess I’m a bit fussy being a tool maker/mold maker my whole career. More damage is done by amateurs using a wheel than any other method IMO. The work you did was exemplary and bringing a fine old Pete back to near original condition is truly a work of love for the hobby. Cheers. Thanks, Andy. 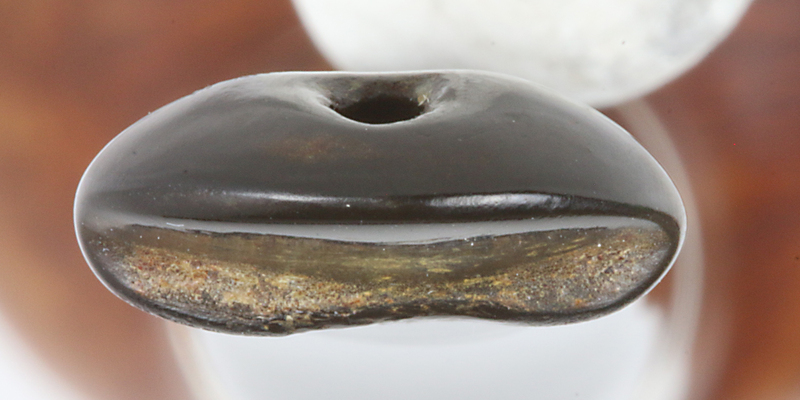 I think what I would really benefit from is a hands-on workshop on restoration, something like what artisan pipe-makers do at pipe shows, only for those interested in DIY restoration. I don’t think you’re being fussy at all–I know I and probably many others simply lack the knowledge, skills and probably tools to do any better. Neill talks about the rounding at the tenon-end as well, and I see his point and now look at ‘restored’ estates in a new way. Lovely work, Mark, and a great read as always. I think you’re right about the growth of amateur restorers. 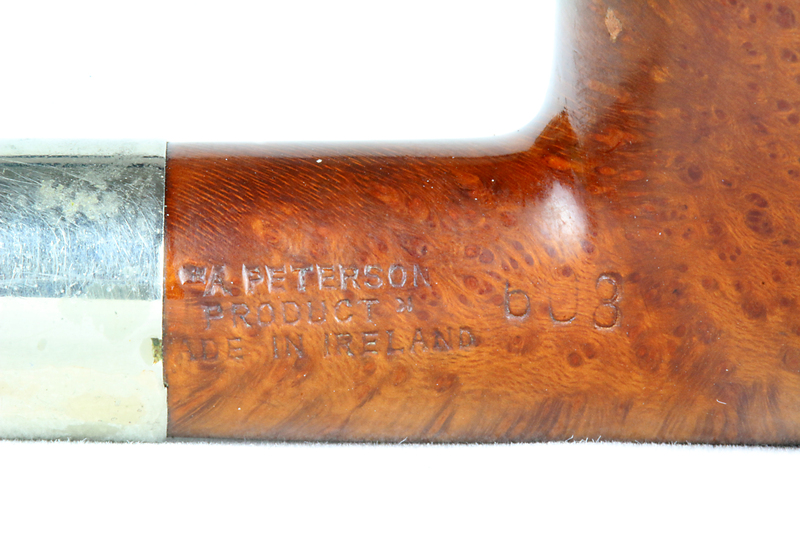 The curve seems to match, or at least parallel, the increased popularity of estate pipes, which now often sell for similar prices on eBay whether they have been restored or not. Thanks, Charles. 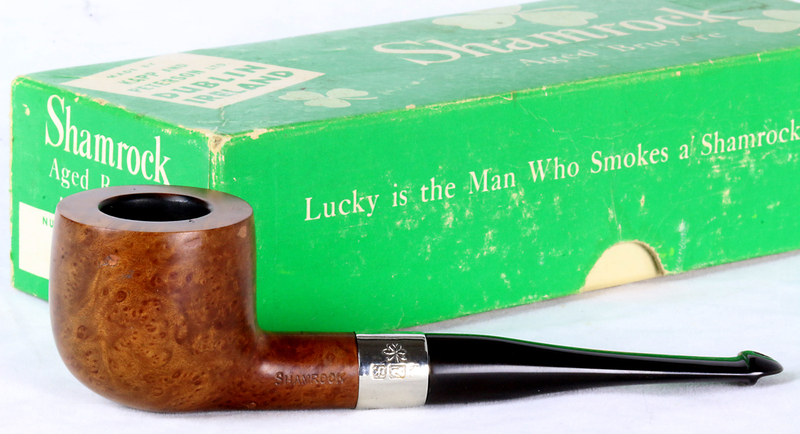 I guess we can only hope that restored or unrestored, estate pipe sales will continue to foster the hobby. Thanks for detailing this restoration. 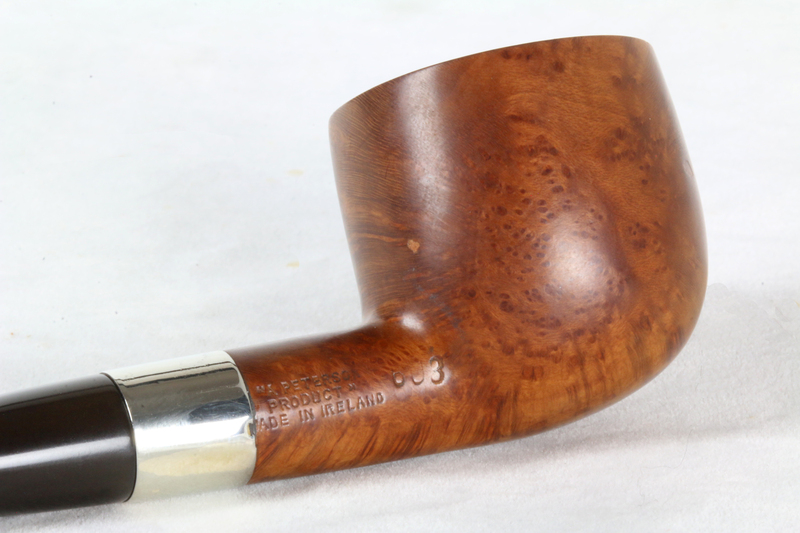 I find estate pipe refurbishing relaxing, and interesting. Each pipe has a uniqueness that is enhanced during the process. Question, where can micro mesh be found? 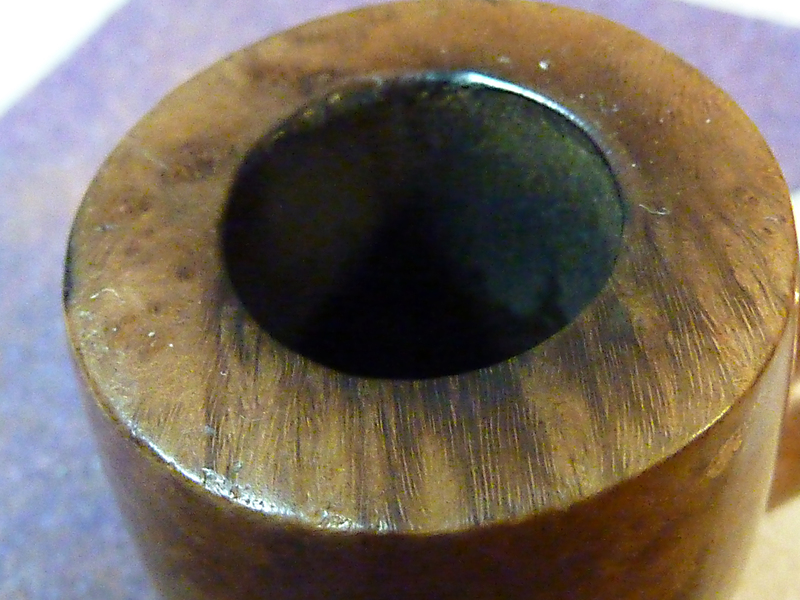 As a side note, I also polish the stem draft hole to rid of oxidation (after a retort process). I use either a fluffy or regular cotton pipe cleaner covered in automotive rubbing compound (Turtlewax rubbing compound, ala Walmart). I mix a little water in with the compound paste on a plate, then apply the slurs onto the pipe cleaner. Fascinating–I’d never read about or thought about polishing the stem draft hole. I normally dip my vulcanite in bleach for 20 minutes, then scrub with small tube brush, bristle cleaner and soft cleaner until it comes out clean. But I’d never thought about polishing it. That, at least theoretically, would lessen air turbulence, and that’s crucial to a cool smoke. Thanks! I hope everyone reads your comment, if not, I’ll mention it in my next restoration post. Until then, you can find the full set of 2 x 2″ Micro Mesh Soft Touch Sanding Pads here in the US from “Buy N Large” (aka Amazon) for $9.99, Etsy, Firemountgems.com and I’d imagine a lot of other sites. Thx for the lead. After polishing the draft hole, i’ll Follow up up with a soapy pipe cleaner & run tap water through it. I do the same on acrylic stems, especially clear perspectix stems as on GBD’s. It sweetens the smoke. Forgot to mention, I’ll switch out pipe cleaner if too gunked up or discolored from excessive oxidation. The draft hole is clean when the color of the rubbing compound doesn’t change or pipe cleaner doesn’t darken. Thank you, sir! I will be giving this a try on a 301 Dunmore on the workbench just now.